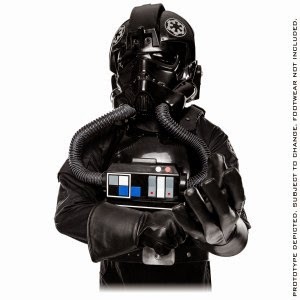 Batcave Toy Room - Better Living Through Toy Collecting: WIn a Tie Fighter Pilot Costume From ANOVOS and Nerdist News! 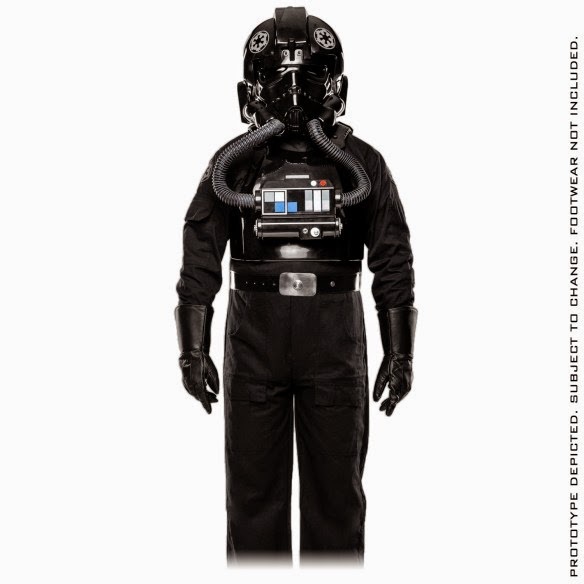 WIn a Tie Fighter Pilot Costume From ANOVOS and Nerdist News! Now that I finally have my Stormtrooper armor complete and I am actively trooping with the 501st, I am looking for the next costume to add to my wardrobe. I have been considering a TIE Fighter Pilot as my next venture, but that all black flight suit could be the death of me in the Vegas heat. However, who am I to turn down a chance to win a TIE Fighter Pilot costume from ANOVOS and Nerdist News. That's right! Nerdist and Anovos are giving you the chance to win a TIE Fighter Pilot costume as part of their Holiday Giveaway. Replicated from existing artifacts at Lucasfilm Archives, this suit features details never before seen on licensed costumes, right down to the full leather belt and metal belt buckle. Unlike other items that may proliferate the Illegal rogue markets of the Empire, all armor pieces and buckets feature finished interiors for the maximal comfort and efficiency of the pilot. That also includes the environmental / air features built within the helmet, allowing the helmet to be worn longer periods at the time. The costume has a $1,500 value. For the details on how to enter, all you have to do is make the jump to light speed over to Nerdist. I tweeted my entry to win. Have you? Good luck and May the Force be with You. Awesome! Good luck John and in case I forget....Merry Christmas! Thank you JBoy. Merry Christmas to you and yours as well. Sorry John, but I just entered and the Force is strong with me. Good luck Eric. If this helps you get suited up for Legion than it's all good. It would be awesome to troop together one day. If not, it would still make an awesome addition to your collection.